Even as the Molalla River flows and the Molalla River Corridor greets thousands of visitors each spring and summer, the effort to keep it clean and usable is a constant. But that's the task Molalla River Watch has set for itself and, judging by what has been, and what is soon to be, the organization is going to keep plenty busy with the popular waterway. Director Asako Yamamuro is proud of the work her group is doing and excited about what's to come. "I think it's been a great spring and summer where we're building relationships and gaining some on-the-ground restoration work opportunities," she said. Molalla River Watch got things rolling in April with a collaboration with the Franciscan Montessori Earth School in Portland that saw Yamamuro visit the school for an interactive educational presentation about the importance of habitat. That was followed up with a field trip to a Mulino property to do some tree planting. "We created our own habitat in early April," said Yamamuro. "That was a lot of fun. The kids, who were third- through fifth-graders, were great." April also saw the 26th annual spring Molalla River Cleanup and enhancement. Molalla River Watch teamed up with SOLVE for an Earth Day event as part of the cleanup effort within the corridor. A project that the director was proud of was the donation of 400 trees to Canby Sand & Gravel for a reclamation project the company is working on. "The trees were donated by the BLM and we bought soil and potted the trees and were able to keep them until Canby Sand & Gravel needed them," said Yamamuro. During the summer, Yamamuro noted that Molalla River Watch began developing relationships with a couple entities that should open some exciting doors moving forward – Oregon State University and the Clackamas Soil & Water Conservation District. The OSU researchers will be using the Ramsdell College Forest in Molalla to do some forest management research. They are seeking landowner input, particularly those who live on rivers or streams, about what they value in forested areas. 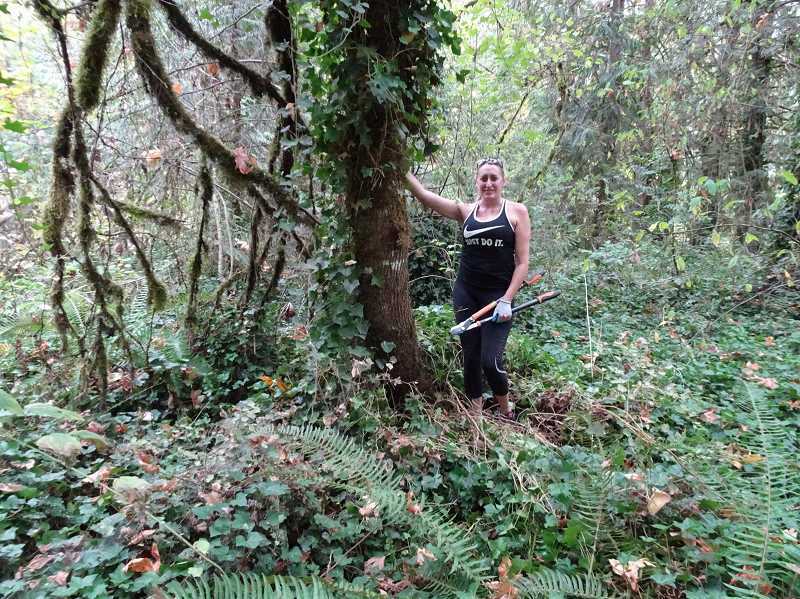 Molalla River Watch is helping make those connections with landowners. As for the CSWCD, Molalla River Watch is hoping to get plugged into that organization's WeedWise Program. "We are talking with them about ways to strategically eradicate Knot Weed from the watershed," said Yamamuro. "It ties back into work we're planning on doing at Molalla River State Park. The Knot Weed propagates by breaking into little pieces that float down and starts new plants. In the state park, there is a huge acreage of Knot Weed we are working on eradicating. If we can work upstream, that's the source for what we're seeing at Molalla River State Park." That park is also the subject of a pair of grants MRW has applied for through the Oregon Parks and Rec Department. They should be hearing about those soon and if they come to fruition, they'll be used for restoration work in the flood plain habitat. The work to keep the corridor looking good and functioning positively goes on—most recently, through the group's Fall Molalla River Clean-up and Enhancement, which collected more than 750 pounds of trash along the corridor, as well as removed 500 square feet of English ivy from the boat launch site next to Feyrer Park. "We had a great turnout of 62 people," said Yamamuro. 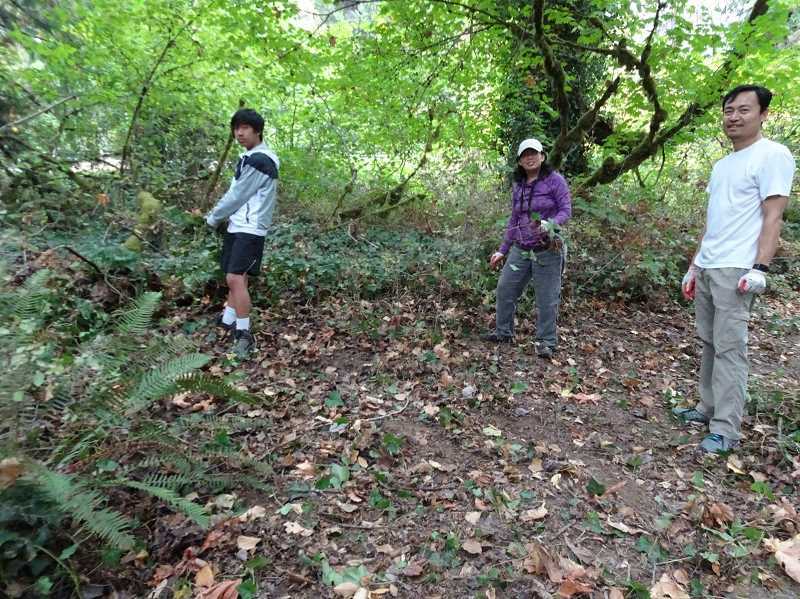 With the winter months approaching, things will slow down, though Yamamuro noted that if the grants come through, her group will do some survey work at Molalla State Park to "Kind of provide a basis for planning restoration work (in the future) at the park."